In today’s digital life, concept of wires is becoming obsolete. From PC to laptop, telephones to mobile, everything has become Wireless and thus, hassle free. Thanks to WiFi, we no longer need to run the network cables around the house or building. Either you want to make local network in home or office, router is required. With so many choices available, it can be confusing to choose the best. When buying a Wireless Router, you should ask yourself; what are you going to use it for? If you use internet for email and news only, a basic router should be enough for you. But if you are a heavy data user like you play online games, watch online movies then you should get a high end router. The next question you should ask yourself is which wireless protocol? Many wireless protocols/ standards exist like 802.11a, 802.11b/g/n, and 802.11ac. Your computer or mobile devices must be compatible with the wireless standard of your router. Most computers bought in past few years connect to 802.11n network, which has been the wireless standard for about past seven years or so. But 802.11ac is the latest standard currently which also has backwards compatibility so it can be your best choice. Great number of ports and control features. For multiple users, it offers Multi-User Multiple Input, Multiple Output (MU-MIMO). Asus RT-AC88U offers great features, dual-band 802.11ac protocol and a high price tag. 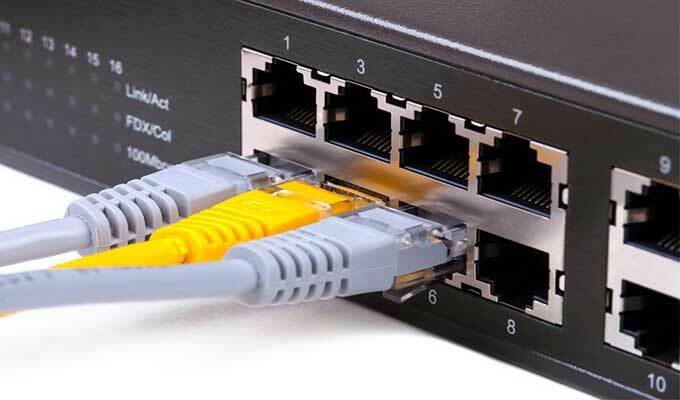 It has many ports including Gigabit LAN ports and multiple USB ports. Throughput is speedy on both the 2.4GHz and 5GHz bands. The user interface is well designed, has great management functions for easy control. Design is good, the router is enclosed in a matte-black housing. On front panel it has LED indicators to indicate status of different ports and internet. With Broadcom’s NitroQAM technology it delivers up to 3,167Mbps of combined (theoretical) throughput (1,000Mbps on the 2.4GHz band, and 2,167Mbps on the 5GHz band). It has four external antennas which can be removed and an assembly of ports around back, including the enormous eight Gigabit Ethernet ports, one WAN port and one USB 2.0 port. On the back, there is a reset button, a Power button and a WPS button. It supports USB 3.0 and its port is located on the front of the router. Asus RT-AC88U is an feature packed, expensive dual-band router. It supports MU-MIMO for multiple users. Recorded throughput is 5GHz.It is our first choice among the high end routers. Delivers fast throughput speed at certainly long range. Sharp network storage speed when hosting external storage device. For Mac users, the storage feature does not offer Time Machine backup. Linksys WRT1900ACS Dual-Band WiFi Router has a dual-core, 1.6GHz processor and to support the system memory it contains 512MB DDR3 RAM (which in non-geeky terms means that it is going to handle all local caching of websites well enough). It is equipped with four antennas and provides excellent signal strength and long range. Significant features are AC1900 wireless speed, USB 3.0 Port, 4 Gigabit Ethernet ports, USB 2.0 port. It contains the Linksys Smart WiFi software with Network Map through which you can view all connected devices on a single screen, track status and network strength of the devices, measure bandwidth usage per device and create personalized names to identify the connected devices. Like all the high end routers, the WRT1900ACS has all the usual functions such as port-forwarding, Dynamic DNS, WPA/WPA2 encryption, and IPv6. 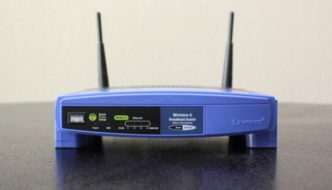 It is the first router from Linksys supporting the OpenVPN, which allows remote connection to users. For techy users, there is option of modifying the router with open source firmware. It is made to use with OpenWRT, advanced users can modify and customize the firmware. WRT1900ACS has long range and fast speed. Being expensive, it delivers the performance according to the price. AC3200 (DIR-890L/R) is a classy and good looking wireless router from D-Link. This gigantic tri-band router has impressively fast throughput speeds; along with the speed it has a classy design and very unique look. With six adjustable antennas and shiny-red finish, the DIR-890L/R can be a classy router for serious gamers, along with looks it has the performance. It is physically big like mostly tri-band routers we have reviewed, including the Netgear Nighthawk X6 AC3200, Asus RT-AC3200 and the Linksys AC3200 (EA9200). Being slightly more costly than the competitors, it is fastest tri-band model available on the market. This router has the fastest wireless throughput speeds we have ever seen on both bands. In 2.4GHz mode, it gives 92.7Mbps on near proximity test (5 feet), defeating the previous front-runner; the Netgear Nighthawk X6 AC3200 (90.7Mbps). It gave a mighty 558Mbps on 5GHz. By a margin of more than 100Mbps it clearly wins over the both the Asus RT-AC3200 (452Mbps) and the Linksys EA9200 (443Mbps). D-Link AC3200 (DIR-890L/R) is a great tri-band WiFi router that gives blazing fast throughput speeds with a design which will look great laying around on your office desk. Amazing throughput speed with second router as a bridge. Simple setup, remote access and management. Electrical odor when running due to getting warmed up. 5GHz band cannot be set to 802.11ac-only mode. Linksys WRT 1900AC is a hefty router with a matching heft price. But it certainly delivers the price through performance. The WRT1900AC gives the value added things like the ability to flash the firmware with OpenWRT which gives complete control to the experts, USB 3.0 gives brilliant performance as NAS, pleasing QoS, good range in the 2.4GHz band, and easy remote access and management option. Having four solid, fat dipole short antennas, the router can use the best three out of its four signals to transmit and receive data thanks to its three-stream spatial architecture. It have the usual clean and responsive UI as other Linksys Smart routers. For the enthusiast users, it would be exciting that WRT1900AC can work in bridge or repeater mode. WRT1900AC manages to provide outstanding throughput with currently running wireless clients and assures best speeds for devices coming in future. But considering the current conditions, upcoming OpenWRT flash-able firmware, wonderful QoS, easy setup, and powerful NAS functionality comes for a heavy price. Exceptional performance optimization for multiple devices on single network. Good throughput and NAS performance. Network Map feature should be improved. Carries a heavy price tag. QoS feature was better in previous model. Sometimes give connection timeouts at 30 feet and beyond. Netgear is the first company to launch a tri-band router. Designed for the increasingly popular Internet of Things (IoT) it can handle the increasing number of devices on our networks. Having a strange design, it resembles to a robotic insect with six folding external antennas. The X6 includes a dual-core 1GHz processor with three off-load processors, 256MB of RAM and 128MB of flash memory. Despite supporting multiple devices, overheating is not a problem with this wireless router. It gives up to 600Mbps on the 2.4GHz and manages to provide up-to 1300Mbps on each 5GHz band. As the router is made to support many devices at once on a single network; it does not deliver very fast throughput for a single device. For UI, Desktop app does basic management and monitoring but to configure advanced settings, like port forwarding, browser-based Genie must be used. Netgear should do a favor to buyers by merging both interfaces into user friendly Web UI. Netgear Nighthawk X is a promising new entrant, nicely handles the multiple wireless devices on a single network using the tri-band concept. Nice throughput at 5GHz band. Competing with existing Linksys EA9200 and the Netgear Nighthawk X6 AC3200, the Asus AC3200 Tri-Band Router enters the AC3200 tri-band wireless router market. It is made for today’s homes where a lot of users need maximum wireless bandwidth. It is a big device with six antennas. On all the three bands, it gives good speed. With a easy user interface (UI), it has many advanced features. Observing its unimpressive file-transfer speed and a price tag of around 300 dollars, it is expensive. The RT-AC3200 is the second largest router lagging only behind the giant Netgear Nighthawk X6 AC3200 which too carries a large footprint. Having black color, its design is similar to the Asus RT-AC87. The router has lots of management features which can be accessed by a Web UI. A network map displays the number of connected clients. Asus RT-AC320 is a Router showing off a next gen. design is a giant device with six flexible antennas which performs great at 5GHz. File-transfer performance should be improved. Impressive throughput speed at 5GHz and Multi-User Multiple Input, Multiple Output (MU-MIMO). Inspiring port selection including WAN and eSATA port. Offers great management through variety of options. These days demand for multiple users is more than ever. If your home also needs a router to support many users at once, you should get a Multi-User Multiple Input, Multiple Output (MU-MIMO) router. The Netgear Nighthawk X4S Smart Wi-Fi Router (R7800), having price tag of about 250 dollars can be good choice for you in 2019. It supports MU-MIMO data streaming, which means at the same time it can send and receive data to multiple computers or wireless clients without losing the bandwidth, which is unlikely for most routers as they can support only device at a time. Please note that to use this technology, each client’s network adapter should be MU-MIMO-compatible. Talking about the physical look, it is black colored gadget with four removable external antennas. It is interesting that it has a WPS button and a button that disables one or both radio bands. It delivers the fastest MU-MIMO performance among all the routers we have reviewed but its file-transfer speeds are not impressive at all. Nighthawk X4S (R7800) is a serious player for 5GHz and MU-MIMO market, very user friendly Web UI and extended management controls and should be considered a serious option if you can ignore few short-comings. Fast NAS functionality with USB drives connected. Becomes a little warm during operation. Few disconnection problems with some wireless adapters at 2.4GHz band. Linksys’ EA6900 AC1900 is a concurrent, dual-band router with 3×3 transmit/receive antenna configuration on each band. It was the fastest router till 2013. It has 600Mbps data speed at 2.4GHz band and the 5GHz band delivers up to 1300Mbps (under optimal conditions, obviously). It can be compared to the Netgear Nighthawk in terms of features. Keeping good interface and some features and borrowed from Linksys’ earlier product EA6400, it appears nearly same as its forerunner. But when talking about performance, EA6900 is the much more powerful router. To get the maximum output from this router you need an 802.11ac adapter or a wireless adapter with a 3×3 MIMO antenna configuration. The design is black with a silver metallic decoration. This is a decent choice as a router for simple home use. This is a good router which offers performance for the price. It can be managed easily. For home networks using multiple devices for video chat, online gaming, video streaming it is a great choice. Speedy file transfers for large files. Single port for USB 3.0. Difficult placement as it cannot lay flat and cannot be mounted to wall. TP-Link Archer C9 AC1900 Wireless Router is a fine looking device. The worth mentioning point about this router is its AC1900 Wi-Fi ability which delivers upto 600Mbit/s throughput speed over 2.4GHz band and 1300Mbit/s on 5GHz. Design is conventional with smooth, shiny white front with and three non-glossy white antennas on top side. Button arrangement from left to right is USB 2.0 port, Reset button, WPS button, a normal socket for Ethernet, four Ethernet ports (GBs) and the obvious power socket and a network switch. It also contains single port for USB 3.0 and other single USB 2.0 port. The strange thing in design is that it cannot be mounted to a wall and it cannot be laid flat, it might be fine if you set it once and leave it there but the design feature could be improved for easy placement. TP-Link Archer C9 AC1900 is a good choice, if you want to buy a feature rich wireless router in a low budget. It is not the fastest available router but a reliable and well-priced device. Good throughput and wireless range. Slow throughput speed at 5Ghz band. It is difficult to fit the optional stand with router. Asus RT-N66U Dark Knight offers wireless throughput up to 900Mbps by using 2.4GHz and 5GHz bands working at the max-speed 450Mbps. The router has three detachable antennas. Six accounts can be setup on the guest WiFi network while the traffic manager offers priority for selected protocols. Aside from offering basic set of features, the Advanced options include Virtual Server / Port Forwarding, VPN Server, Firewall, Dynamic DNS Service and few other good options. The RT-N66U is expensive for a wireless router, but if have a blazing fast internet connection, you can buy this router to push your home network to its limit. A wireless router is an important part of hardware in any Local Area Network. It can also be hard and challenging to configure and use. 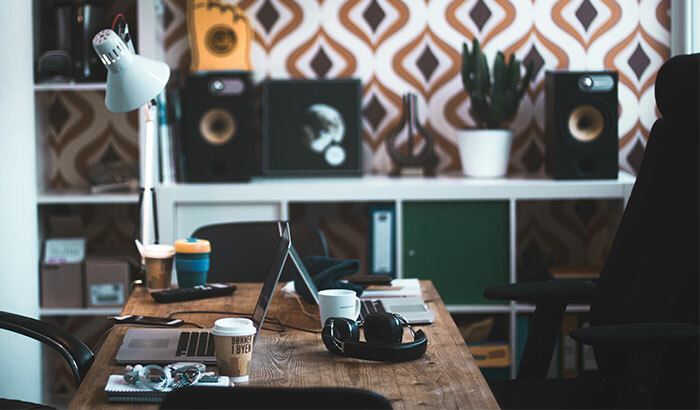 Choosing a wireless router wisely before investing your money can be helpful for buyers who want to get the most from a high-speed Internet connection in the home or office, or any place where wireless routers are used. A useful suggestion is that about placement of the wireless router. For most big homes, the WiFi network’s performance can depend upon the placement of the router. Generally, you can place it in the middle of your home to make the most of a WiFi network with any wireless router you have chosen. You should not cover the wireless router, it should be placed in open instead of closets. Other things in your home can also affect the performance of your router. Floors, drywall and plaster cause certain network degradation. But the biggest problem is aluminum which is usually found in offices and new apartments. Throughput gets slow due to the weaker signals. The right placement would have a huge effect on the performance of your home or office wireless network. Remember, a WiFi router is a critical part of a Wireless network and you should upgrade it when it gets outdated.